Arrested and charged with driving under the influence? Contact our experienced New Jersey DUI lawyers today for a free consultation. Let us fight for you! Making mistakes is unavoidable and sometimes small mistakes can be forgiven. You can apologize after losing your temper and give yourself a clean slate, but you can’t do the same for some mistakes. Drunk driving is not a mistake that can be easily forgiven. There are consequences that follow these actions and they can be harsh. You don’t want to have to pay for the mistakes you have made for the rest of your life. 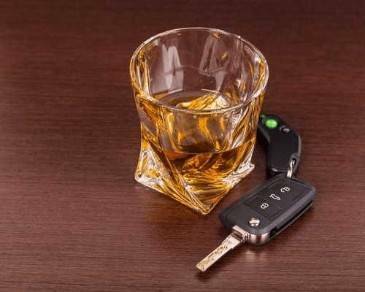 Our New Jersey DUI lawyers at Tanya Freeman Law LLC know that good people sometimes make bad choices and deserve to have their rights to justice protected. If you have been charged with DUI in New Jersey, you deserve to have a strong and knowledgeable attorney on your side. The attorneys at Tanya Freeman Law LLC will work hard to get you the best result possible. Competent New Jersey DUI attorneys will know the best way to defend your DUI in any circumstance. To begin, we have to fully understand the case in its entirety. You can provide us with a great deal of information. Knowing how you handled yourself with the officer, if you took the breathalyzer, etc. will all be of great value to us. We are also permitted to gather information from the police report. That includes any videos of the incident and the arrest as well as information from the municipality police state of which you were taken to. This video and audio can be really helpful when we’re trying to corroborate your story of the events. We know that we need this information to build out a strong defense when we go to court. Once we get to court, that is when we work to aggressively fight for you. We understand that a DUI conviction can be life-altering and potentially life-ruining and we are here to help you avoid that. Don’t settle for just anyone to represent you. It could make or break your case if you don’t have the right attorney. If you want to have an attorney who cares about you and knows how to defend your case to success, please call our New Jersey DUI lawyers at Tanya Freeman Law LLC today for a free confidential consultation. You will be in good hands.